Read more reviews of Americana music here. 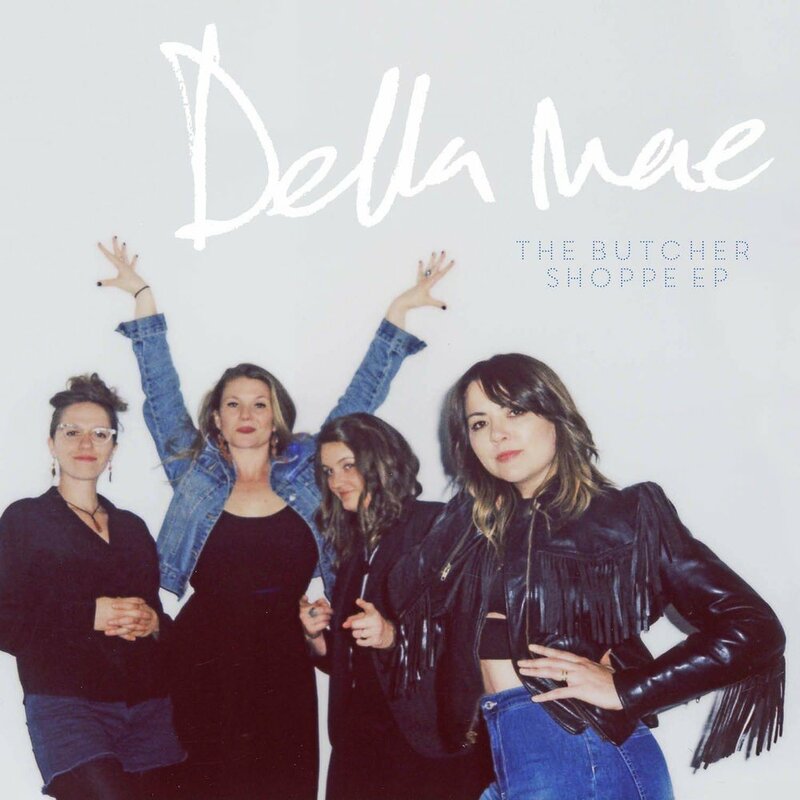 Della Mae releases an EP of songs, The Butcher Shoppe EP, for 2019. Read the review here. Find out and see what recordings made my "Must Listen" list in 2016. Read more here. Traditional and original music for mandolin and guitar by two virtuosos from the Pacific Northwest, Tim Connell and Eric Skye. June Apple deserves to be called a new classic of acoustic music. Read more here. 2015 was quite the year. Find out who made the grade and made it on my Best of 2015 list. Read more here. Della Mae is the band's self-titled second album for Rounder Records and as usual, they show us why they are one of the best bands working today. Read more here. Leave Some Things Behind is the new recording of refreshingly original songs from the Americana string band, The Steel Wheels, from Virginia. Read more here. Cellist Gideon Freudmann and mandolinist Brian Oberlin team up to make Magnetic West, an eclectic mix of mostly original songs and tunes highlighted by quirky wit and solid performances. Read more here. The Punch Brothers (featuring Chris Thile, Noam Pikelny, Chris Eldridge, Paul Kowert, and Gabe Witcher) release their latest and best album to date with The Phosphorescent Blues, which is produced by renowned record producer, T Bone Burnett. Read more here. Frank Solivan & Dirty Kitchen release their third album and it is a great look at contemporary and progressive bluegrass with stirring vocals and stunning instrumentals. This could be their best effort yet. Read more here. The Roys are a sibling act and their perspective on bluegrass music is based on tradition that dates back to Monroe and the innovators that created this music. Gifted with great voices and accomplished technique, The Roys will satisfy your cravings for good-old, old-fashioned bluegrass. Read more here. Mike Marshall & Choro Famoso are back with another fine example of Brazilian choro music. The rhythms are infectious and the performances are virtuosic, and all in all, this makes for a fine introduction to this great music. Read more here. Chris Thile and Edgar Meyer continue their collaborations and give us this latest effort that combines imaginative music compositions with explosive pyrotechnics and emotive performances. Together, they push the boundaries of these instruments and how they are played. Read more here. Brian Oberlin has provided a great introduction to the art of Italian classical duo-style solo mandolin playing in Capriccio Fantastico with both a CD and a companion book of his own arrangements. Read more here. Fayssoux returns for her second album of most;y original classic country gems. Her beautifully warm and worn voice invokes heartache and heartfelt earnestness that defines authenticity. She's joined by stellar mandolin solos from Sierra Hull. Not to be missed. Read more here.